Accommodation in Phalaborwa: Bothabelo Bed and Breakfast. You are here: Home / Limpopo / Phalaborwa / Accommodation in Phalaborwa: Bothabelo Bed and Breakfast. Bothabelo Bed and Breakfast is situated 2km from the Phalaborwa Gate of the Kruger National Park. We are also 2km from the renowned Hans Merensky Golf Course. 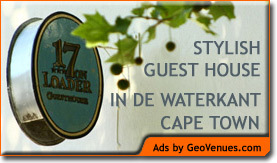 Bothabelo B&B offers 6 ensuite double bedrooms.Every bedroom has Television, Air Conditioning and Mosquito nets. Some of the bedrooms also have bar fridges. Guests can also relax and braai on a hot summer at the Lapa.